Resource Center What Are Co-Occurring Disorders? Social Anxiety and Drug Abuse: What is the Connection? Social anxiety disorder, or social phobia, is an anxiety disorder that is characterized by an unreasonable and excessive fear of social scenarios. People with social anxiety often feel nervous and self-conscious when in public, and they have a fear of being watched, judged, and criticized by others. People suffering from social anxiety are typically afraid that they will be embarrassed or humiliated in front of others, and this fear can lead to panic attacks. Individuals with social anxiety usually recognize that their fear is unreasonable, but it rarely dissipates unless they make a conscious effort to address the underlying causes through some kind of treatment. According to the Anxiety and Depression Association of America (ADAA), approximately 15 million American adults suffer from social anxiety. Many people first start experiencing symptoms around the age of 13, and more than one-third of those suffering from social anxiety do not seek treatment for at least 10 years after the condition’s onset. How Do You Treat Social Anxiety? There are a variety of ways to treat social anxiety disorder. A common treatment approach includes a combination of ongoing psychological counseling and medication. According to a review originally published in Cognitive Therapy and Research, Cognitive Behavioral Therapy (CBT) is an especially reliable treatment modality for the immediate and most pressing symptoms of various anxiety disorders. CBT is a type of psychotherapy based on the idea that internal thoughts, not external stimuli, are ultimately responsible for feelings and behaviors. 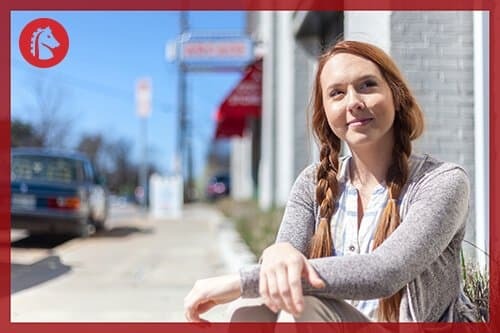 Although CBT is typically administered on a timeline that has an established end date from the start, ongoing psychological counseling can also help individuals cope with the symptoms of social anxiety. During therapy, clients learn how to recognize the thought patterns that might lead to panic attacks, and they will practice breathing exercises and other coping mechanisms that aim to diminish fear and anxiety in particularly stressful situations. For people who suffer from severe symptoms, medication may also help to manage social anxiety. According to the National Institute of Mental Health, there are three kinds of medications that doctors might prescribe to treat social anxiety: antidepressants, beta blockers, and anti-anxiety medications. Anti-anxiety medications like benzodiazepines are powerful and can treat the symptoms of anxiety almost immediately; however, they are habit-forming, and individuals should not rely on them for extended periods of time. They work by slowing functions in the central nervous system, but they may cause unwanted side effects like drowsiness, confusion, slurred speech, and poor coordination. Beta blockers can reduce the physical symptoms of anxiety, like rapid heart rate, body tremors, and excessive sweating. Individuals who suffer from “performance anxiety” may find beta blockers effective at managing the worst of their symptoms. Unlike anti-anxiety medication, which can treat symptoms immediately, antidepressants take as long as several weeks to start treating social anxiety disorder. People who find their symptoms debilitating may benefit from taking antidepressants because these drugs increase serotonin levels in the brain, and it is a lack of this neurotransmitter that can cause intense anxiety. Does Anxiety Contribute to Addiction? 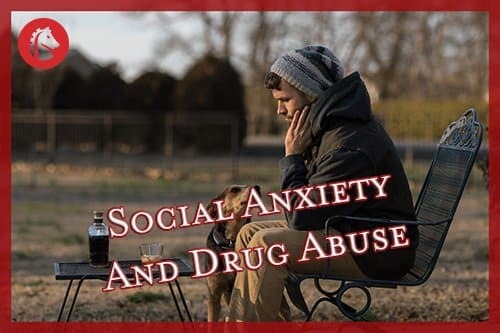 Living with social anxiety can be crippling, and individuals who suffer from it may feel inclined to self-medicate with drugs or alcohol; however, the symptoms of anxiety disorder can make addiction worse, and the side effects of certain substances can cause even more anxiety. According to ADAA, some people with social anxiety turn to alcohol to reduce the severity of their symptoms, and it is common for alcoholism to develop after the onset of social anxiety. In some cases, addiction can develop first and eventually lead to anxiety. Anxiety is a side effect of many controlled substances, including cocaine, marijuana, methamphetamine, and fentanyl. Under the Drug Enforcement Administration classification system, all of these drugs have a high potential for abuse and may result in severe physical or psychological dependence, which can further contribute to symptoms of anxiety, especially when individuals try to quit. How Do You Treat Co-Occurring Disorders? When someone is suffering from co-occurring disorders, like substance use disorder and social anxiety, it is critical to treat the conditions simultaneously. Otherwise, recovery is essentially impossible because the symptoms of the untreated disorder will eventually cause a relapse of the other disorder. By taking an integrated treatment approach, healthcare providers can help clients address the underlying issues contributing to both disorders and devise an effective combination of therapies and medication for each individual client. If an individual is suffering from substance use disorder and social anxiety, the first step is to undergo medical detox. During medical detox, clients have access to experienced healthcare professionals who will ensure they remain comfortable and safe despite any withdrawal symptoms. After the medical detox phase, it is time to begin treatment for both disorders simultaneously. Since Cognitive Behavioral Therapy can be an effective treatment approach for addiction as much as for social anxiety, people with these two co-occurring disorders can expect to take part in this kind of therapy. According to a report published in the Journal of Studies on Alcohol and Drugs, CBT can effectively treat substance use disorders involving alcohol or illicit drugs. Researchers found that it was most effective as a short-term approach. Clients suffering from social anxiety in addition to addiction will likely need to take part in some kind of ongoing therapy following the completion of their CBT program. Aftercare is a critical part of treating co-occurring disorders because both addiction and social anxiety are chronic diseases. Aftercare might include ongoing individual therapy and a prescription for medication that eases symptoms of anxiety.